This is particularly true in Central Texas, where it’s not unusual for summertime temperatures to top 100 degrees. And the hotter it is, the more difficult it is to manage private water practices. After all, who wouldn’t want to take a long shower to escape the heat, or water their lawns repeatedly in an effort to keep the grass alive? But water waste is a serious problem, and can have devastating effects on an ecosystem. 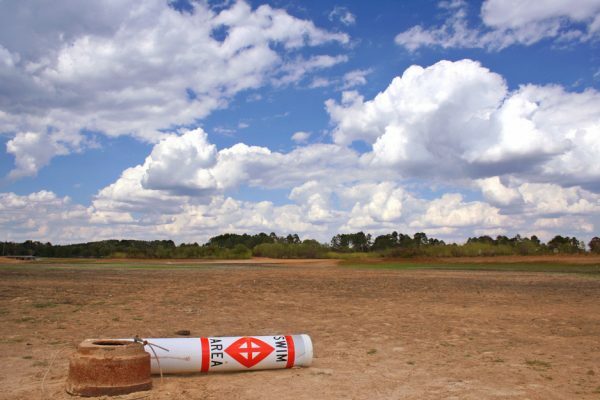 To make matters worse in Texas, the central part of the state has a history of severe droughts, resulting in depleted aquifers and drained reservoirs – all of which wreak havoc on the state’s environment and economy. Just north of Austin, the city of Cedar Park is particularly mindful of this problem. Most of its water supply comes from Lake Travis, which, until very recently, had been in a severe drought for more than seven years. The city created the Water Conservation Program to regulate outdoor watering and provide resources that encourage better water management. However, most residents still use much more water than necessary for their lawns, in spite of the watering restrictions. Luckily, Cedar Park hired Ideabar Austin as their agency just in time for the hottest summer months! 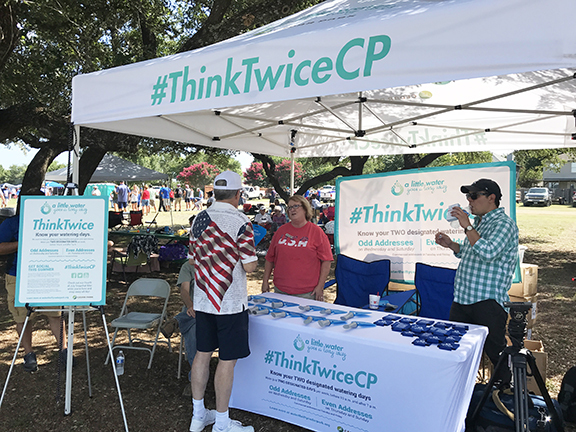 They even helped Cedar Park make a big splash at their annual Fourth of July Parade and Celebration. Ideabar wanted to create a campaign that was not only beautiful, but also had a positive feeling. After all, the goal of the campaign is not simply to remind residents of the importance of water restrictions. It is to instill a sense of community pride, and to bring citizens together to keep Cedar Park’s environment healthy. So they set off to design a logo and campaign message that would emphasize the Water Conservation Program’s important message, without having residents feel like they themselves were being restricted or punished. They achieved this with the message “A little water goes a long way.” Simple, but effective. In their design, Ideabar Austin combined the leaves from the city logo with water drops. In doing this, the logo embraces both the water conservation program and Cedar Park’s leafy, green identity. With a new logo and sharp campaign message, Ideabar got to work creating fun giveaways, handouts, stickers, – even seed paper! – to spread the word. And already the results have been positive: Before Ideabar began the awareness campaign, Cedar Park’s website averaged about five visits per day. However, since the launch of the campaign, and with social, email and video targeting, visits increased to 70 a day! And we’re just getting started. 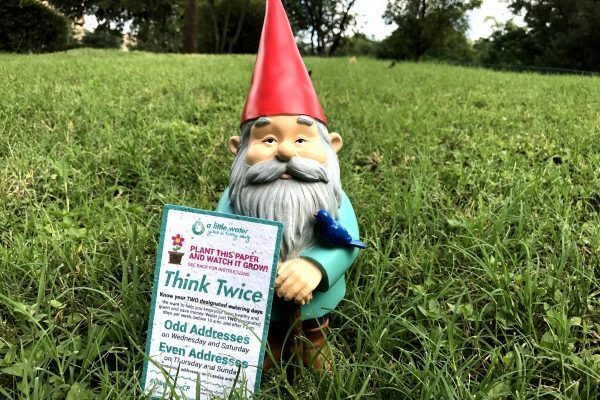 To take a peek at the “A little water goes a long way” campaign, read about the importance of conserving water, learn about the ways you can help and uncover more useful resources, check out the campaign website at waterthriftycedarpark.org.